This Weber barbecue commercial originally was a contest where entrants were to submit a video of how they use their Weber barbecue. The winners, were two skydivers that took a Weber barbecue on a skydive. 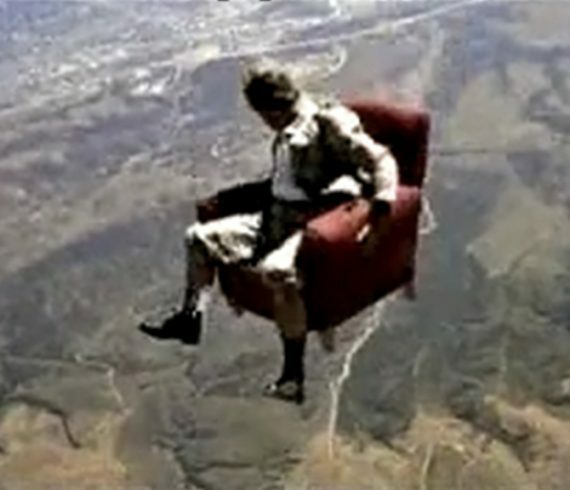 My company Aerial Focus was hired to re-shoot the original commercial in high quality 35mm film so that it could actually air on TV. That was back when consumer video cameras were not producing good enough technical quality for TV. I was the stunt coordinator and freefall cinematographer. I put a white skydiver smoke in the barbecue to get a “smoking effect” coming out of the barbecue. 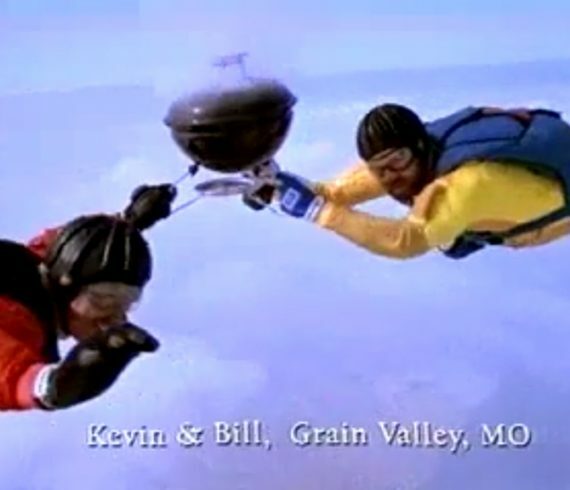 Skydivers Kevin and Bill got to play themselves in this TV version too. Stunt skydiver Matt McCarter jumps from an airplane, performs some nice freefall tricks then both of his parachutes fail to open. He pulls out his cell phone to call for help. Funny commercial. I was the stunt coordinator and freefall cinematographer. 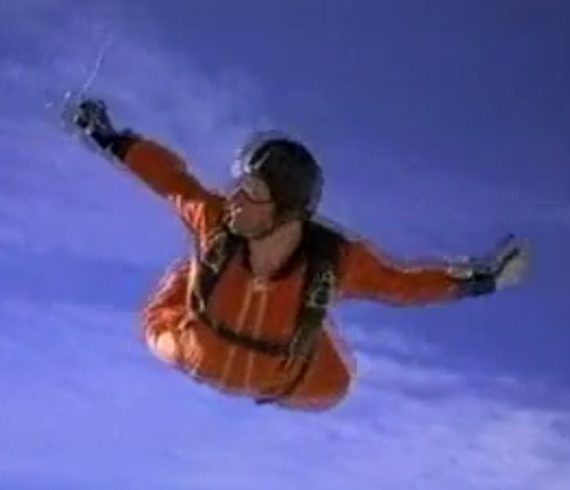 My company Aerial Focus was hired to handle all of the skydiving portions of this commercial. 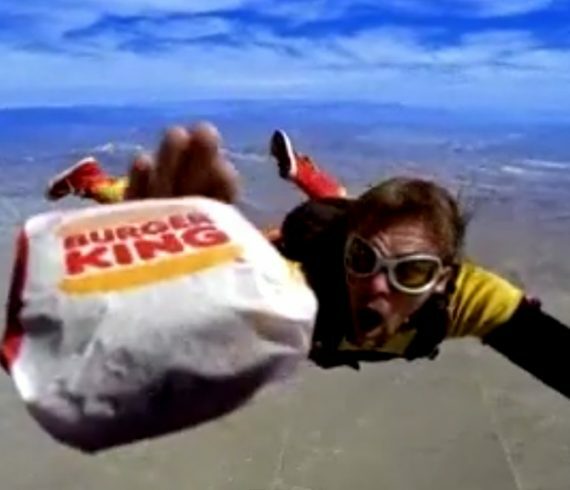 This commercial involves skydiving and playing soccer at the same time. This was to promote a big soccer match. We had a professional soccer player coach my skydivers on how to look like a pro soccer player, different soccer moves etc. My rigger Albert Champagne developed soccer balls weighted with jello that was injected into the air valve with a needle. We tested the different weights in the wind tunnel at Perris Valley Parachute Center. 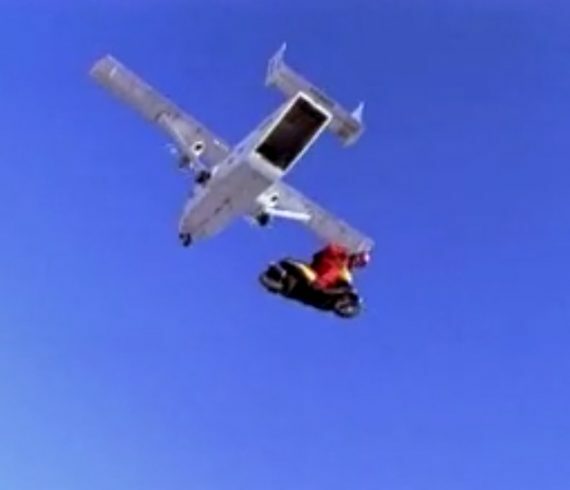 The commercial was shot at Lake Elsinore Parachute Center in So. CA. 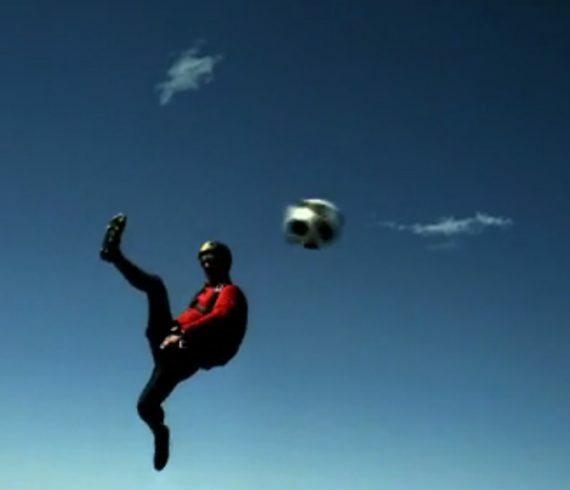 We used these real soccer balls on some jumps, we made some jumps pretending to kick soccer balls which were later added in post. We used Skip Evan’s Twin Beech aircraft and DC-3. Director was Bob Gordon. I was the stunt coordinator and freefall cinematographer.